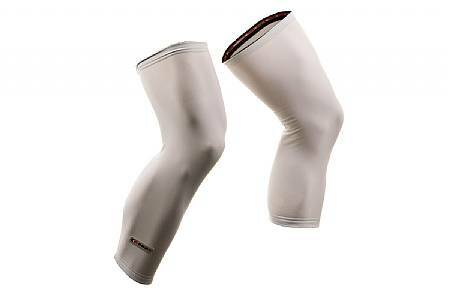 I ride with these and similar knee warmers from mid-Fall through early winter. They do a great job insulating your legs from lower-quads to top of the calves in temps down to about 30 degrees. Any colder and I opt for full coverage leggings...Grippers work well insofar as I've never had problems with slippage. These were a steal with BTD's closeout pricing. These are your basic warmer design and that's the beauty. Simple done well. These are on the average to longer side. Excellent warmers for cool sessions that are just the right length with good silicon grippers. The Roubaix is medium thickness- enough for temps down to 45-50 degrees- but not too think to bind behind the knee.